Zig-Zag staircase is a perfect choice for anyone who values traditional beauty. Despite the common opinion, this stair design is neither dull nor run-of-the-mill. On the contrary, its zig-zag pattern and a hidden stringer guarantee minimalistic look that will never seem to bulky for any interior. Its simple nature let you experiment and create your very own gravity-defying stairway. You can accentuate its contemporary shape by using alternate colours for treads or installing lights along the stairway, which will definitely add a ‘wow’ factor to your space. 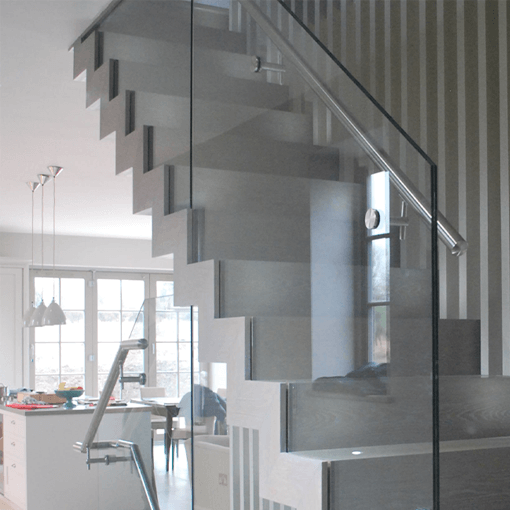 You can also add to the design by using frameless glass balustrades, and by combining wood, steel and glass to create a classic or modern design, depending on what your interior needs. Zig-zag stairs are also very functional as a laser-cut hidden stringer prevents any bouncing from occurring, even after years of use.